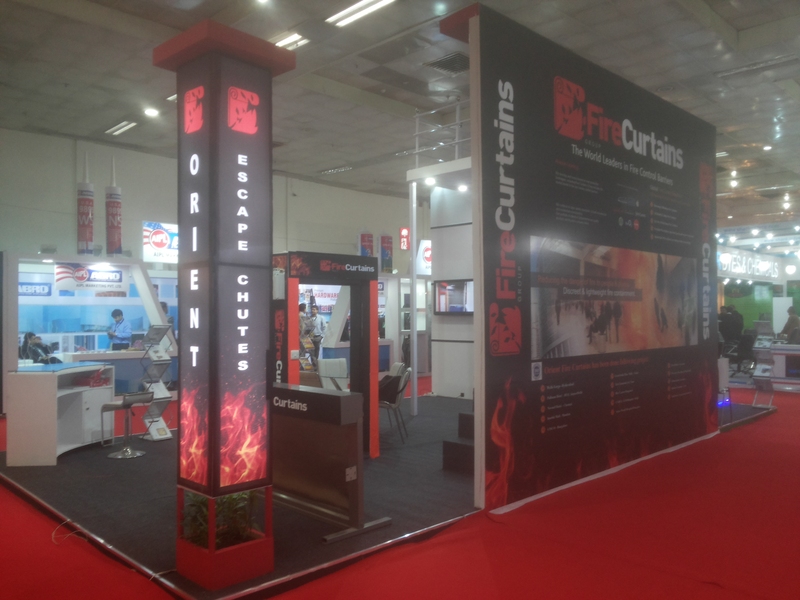 Fire-curtains-acetech-exhibition-stand-delhi-india – Orient Fire Curtains India Pvt. Ltd.
Posted on Tuesday, May 5th, 2015 at 9:10 am and filed under . Orient Fire Curtains Pvt Ltd is the sole company in India to represent Fire Curtains Group Ltd. Any other company claiming to represent Fire Curtains Group Ltd (including the UK division – Smoke & Fire Curtains Ltd) is acting illegally and without the relevant authorisation since 2010. 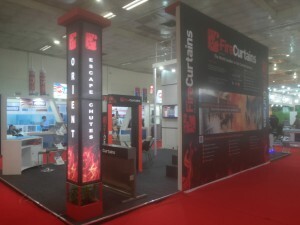 Orient Fire Curtains India Pvt. Ltd. specialise in providing high quality domestic and commercial automatic fire curtains, please contact us for friendly, helpful advice.